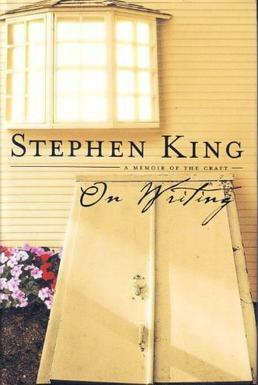 Stephen King has, as of writing this, published 54 novels and about 200 short stories. He is one of the most well-known and prolific authors of our era, famous for such works as Cujo, Carrie and It. Best known for his horror stories, On Writing is a foray into non-fiction, but still carries many of the warnings that his novels have. I suppose when you reach a certain level of fame, it only makes sense that you would be told you should write a memoir and/or writing advice book. Unfortunately, it seems as though Stephen King misunderstood that particular assignment. Part memoir, part writing advice book, the first third follows King’s early life. He makes his view on women fairly clear throughout the memoir section, speaking of the various women and girls he ran into in crass terms. He took pride in the fact that he didn’t have a TV growing up and often demeans the tendency of today’s generation to watch TV. I can only imagine what this would have looked like if had been published after the introduction of internet, laptops and smart phones as every day devices. It felt like the epitome of any baby boomer telling millennials ‘back in my day we didn’t have such fancy devices to do research for us’ etc. It was prevalent enough to be distracting from the content. And, well, the content left a lot to be desired. It’s little more than a rehash of every beginner’s book on writing, interspersed with sexism and ableism. Pages wise, the section about writing is the largest single section at about half the 300ish pages. The book concludes with a graphic description of his 1999 car crash and the aftermath getting medical help. The bloody blow-by-blow details wouldn’t feel out of place in one of his novels, though it eventually transitions into how he started writing again after the accident – picking up where he left off on On Writing, which was published the year after. If you’re a fan of Stephen King, or are interested in his life, I recommend it. If you’re looking for actual writing advice or have a delicate stomach, I’d suggest you go elsewhere. It’ll continue to grace my shelves for posterity, but it will be nothing more than a way to keep the dust bunnies at bay.